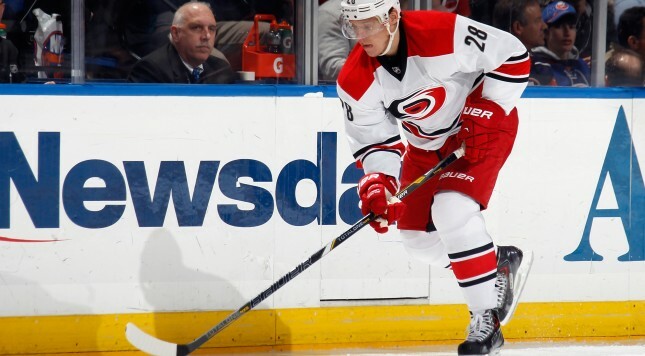 Alexander Semin’s days as a Carolina Hurricane are now over. The team announced they are placing him on waivers with the intention of buying out the remaining three years of the Russian forward’s contract. Sportsnet’s Chris Johnston reports the Hurricanes will pay him $14 million over six years. Here’s the team’s statement. The Carolina Hurricanes placed forward Alexander Semin on unconditional waivers Tuesday with the intent of buying out his contract. Semin was notified of the club’s decision Tuesday, per the Collective Bargaining Agreement, and he will need to clear waivers at noon Wednesday prior to being bought out. Semin scored 41 goals and 65 assists in 166 games with Carolina, but last year was a disaster. He scored only six goals and was a healthy scratch multiple times. It’s probably best for both parties to go different ways. Semin instantly becomes one of the more attractive names on the free agent market based on the assumption he will sign a one-year deal in an attempt to rebuild his value. He’s too talented to have a repeat of last year and can instantly slot into a team’s top-six.